If you’re a freelance writer, you have probably read countless articles about the power of social media platforms like Twitter. So you spent hours setting up your profile, followed almost every account you came across, and learned how to navigate the site. If you want to find freelance writing jobs on Twitter (yes – it’s possible!) then you need to rethink your current strategy. Twitter is a great place to find freelance writing jobs because it allows you to directly connect with potential clients, in a virtual place where people go to be sociable. It is important to remember that having the right followers is decidedly more important than having thousands of the wrong followers. By following these clever tactics, you will land more writing gigs and make the most of your Twitter account. The search bar is one of the best places to begin looking for freelancing writing jobs on Twitter. Explore the advanced options to customize your search as much as possible – the more unique your query, the less competition you will have. Pro tip: Also search for hashtags associated with your niche, such as #blogger or #copywriter. By interacting with people you would like to work for, you are more likely to land a gig. A face, name, and a bit of personality are all factors in separating your pitch from dozens of other strangers. 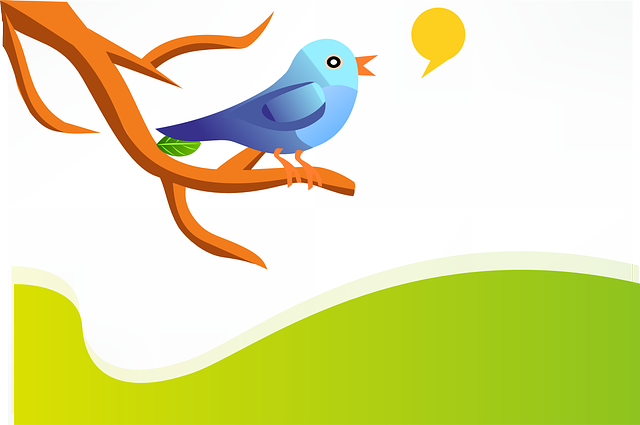 Twitter is a great way to build your brand and passively communicate your style to potential clients. Audit your profile to make sure there is nothing posted that you would not want a client to see. Be sure to tweet your published articles along with relevant hashtags; you never know when somebody will read your article and contact you for work, or share your work with others. Along with tweeting your own pieces, you should be a valuable source of useful and interesting information. Retweet articles that will attract your ideal client. Show loyalty to your target clients by occasionally retweeting or replying to their posts. Aggressively spamming clients on Twitter is largely considered to be a huge party foul. While yes, everybody is online to be social, nobody appreciates a spammer. Be brief and personable with your messages. Unless you are replying to a request for freelance writers, try to keep your inquiries vague and ask for ice-breaking information such as the appropriate editor to send pitches to, or if the publication is currently accepting work from freelancers. Keep an eye out for lists that you are added to, especially if they are titled “freelance writers” or something similar. Reach out to everybody that adds you to a list of that nature and casually offer your services. Lists also work to your advantage by keeping you organized. Make lists for potential clients, favorite publications and editors, fellow freelancers, and niche authority figures. With so many ways to find freelance writing jobs on Twitter, it is easy to see why this social media network is a must-have for many modern freelancers. You will be well on your way to landing a great writing gig on Twitter once you begin building a meaningful and strategic network. Now, go on and enjoy connecting with your clients while building your personal brand! This article was originally published on Writer Town.com.